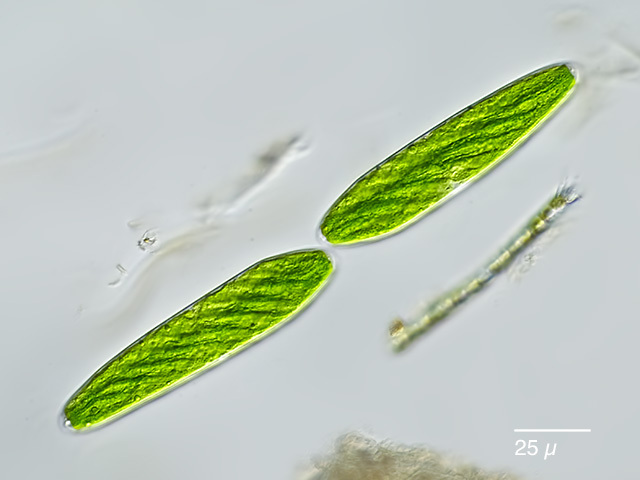 Tortitaenia alpina, a species with a single a central chloroplast with radiating spiral ridges. 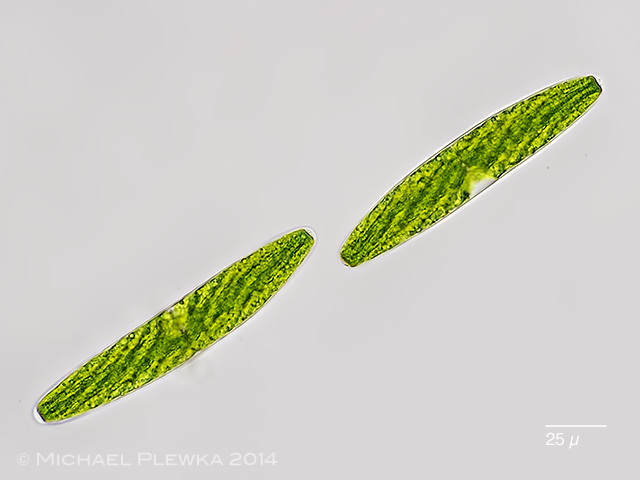 This is in contrast to Spirotaenia, which has a single ribbon-shaped parietal chloroplast. 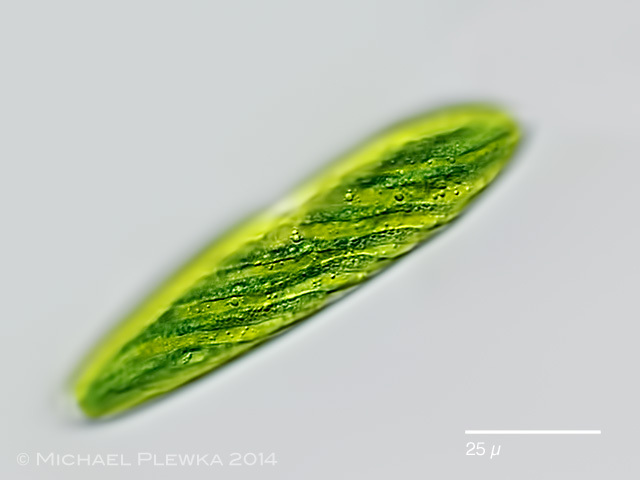 Tortitaenia alpina, detail of the periphery of the chloroplast.